Kevin Paredes/Photo Editor Set to open in early summer, EndZones Specialty Calzones is putting its twist on the classic treat. Donovan Cammack, a Binghamton resident and owner of the restaurant, said that he hopes the restaurant will serve as an important addition to the Downtown Binghamton community. For some, opening a restaurant may seem like a risk, like a Hail Mary pass on the fourth down of a football game. 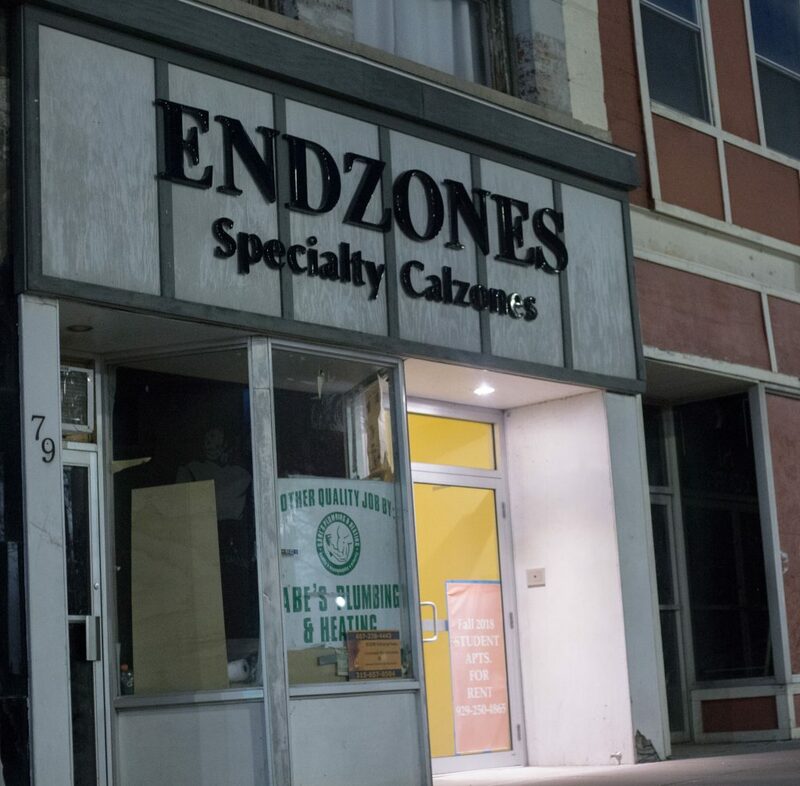 For Donovan Cammack, a resident of the city of Binghamton for 15 years and owner of the soon-to-open EndZones Specialty Calzones on 79 Court St., he’s as invested in his craft as a Super Bowl quarterback. “I told myself 10 years ago that if I ever had the chance to open [a restaurant] in Binghamton, I would,” Cammack said. It’s taken Cammack over a year to prepare his restaurant, but he has unflinching confidence in his vision. EndZones is a play on words, referring to both the calzones being made in the restaurant and the end zones of a football field; naturally, the restaurant’s logo features a quarterback tossing a calzone as if it were a football. Cammack said that the decision to make this its logo “wasn’t a hard thing to decide on,” seeing as he’s a massive football fan. Cammack said he hopes EndZones will become a hot spot for sports fans. Cammack attributes the origin of his ambition to his time as a “young entrepreneur,” selling lemonade and lanyards outside his house. After studying business at Broome Community College, Cammack said opening his own restaurant felt like a natural progression. Cammack’s passion for business has grown parallel to the expanding area of Downtown Binghamton. Although calzones are born out of an Italian tradition, Cammack said he doesn’t want his menu to be limited. Backed by the expertise of his father, a trained chef, Cammack said he hopes to fuse different culinary styles with the calzone. Cammack described a number of calzones, which utilize everything from Jamaican barbecue to red and green curries. Cammack has also been working on ideas for dessert calzones, which include fillings like s’mores, apple pie and cherry pie. He said he also wants to engage with his customers through a build-your-own-calzone feature at EndZones. Cammack expressed optimism at the opportunity for customers to craft new specialty items. Ultimately, Cammack said he hopes to create an atmosphere that will show his appreciation for the Binghamton area. He said he wants EndZones to be a first choice for any Binghamton University student looking for a quality off-campus meal. EndZones hopes to touch down in the Binghamton area sometime around May or June. “I hope Downtown is ready,” Cammack said.